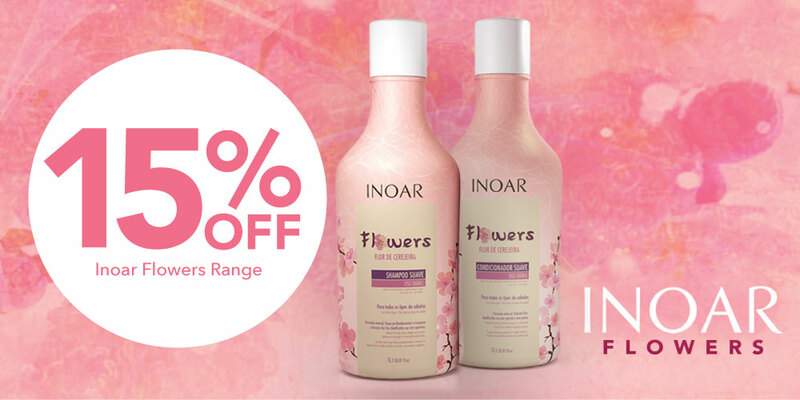 Inoar is bringing back the favourite Flowers Range this Spring – a special limited edition shampoo & conditioner series with an extremely natural and light cherry blossom formula. Cherry blossom is an anti-oxidant and stimulates the scalp for healthy growth, shiny, and weightlessly hydrated hair. The cherry blossom symbolizes renewal, the start of new life to your beauty. For September only, get this fantastic range at 15% OFF at any Sorbet Drybars countrywide!